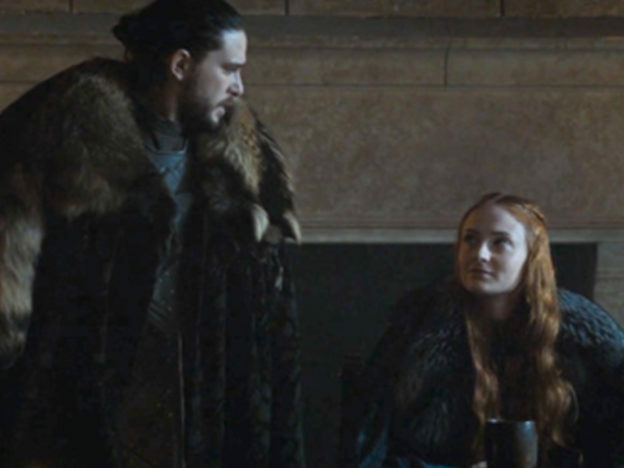 Jon may be leaving Winterfell to Sansa as he rides off to Dragonstone, but there is clearly some unresolved tension between the two siblings/cousins. Jon is facing some serious challenges as King of the North, and Sansa is not afraid to publicly question and argue against his decisions. When he berates her for questioning him before his subjects, she retorted that Joffrey didn’t like being spoken back to either. 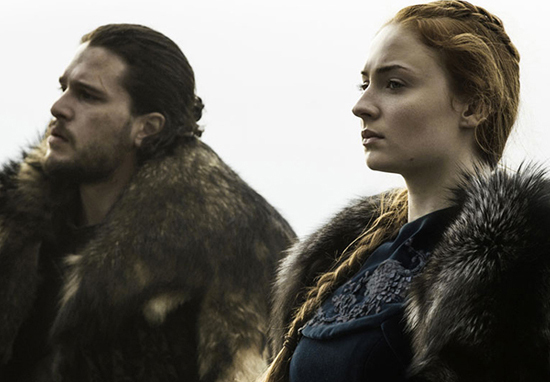 After both Ned and Robb lost their heads having made bad political decisions, Sansa is clearly frustrated with Jon, pushing him to be ‘smarter’ and more ruthless than the previous, honourable yet ill-fated, Starks. You would presume the two Starks would be delighted at the chance to run Winterfell as a family team after so much heartache, but there is clearly a whole mess of personal issues to untangle before they can hope to be effective rulers. I think the sibling rivalry stems from childhood, The reality is Jon is the military man, and the sexism exists where he believes that [a man should be in charge]. And in reality, Sansa is a really wonderful politician, and he doesn’t recognize it enough to appreciate it. It’s difficult because military-wise, she doesn’t know anything. And she’s kind of butting in on that respect. And he, on the other end, is trying to be more of a politician, and he doesn’t know as much as she does. If they could just learn to collaborate. Cynical Sansa is not the naïve girl we knew back in season one. She has seen enough of the business of ruling to have some genuinely valuable knowledge on the matter and Jon needs to respect her insight. Likewise, Jon is a seasoned fighter who has had to make some very tough decisions as Lord Commander of the Night’s Watch. Sansa should not necessarily view his Stark-ish mercy towards to the Umbers and Karstarks as a sign of weakness. Hopefully, Sansa and Jon can appreciate each other’s respective experiences and talents before winter is truly upon us. After longing for a Stark reunion for so long, we have been given an unexpected curveball. I cannot wait to see how this rivalry plays out.